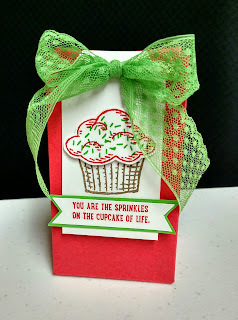 When I saw this new stamp set, Sprinkles of Life, I was thrilled and couldn't wait to get my hands on it. 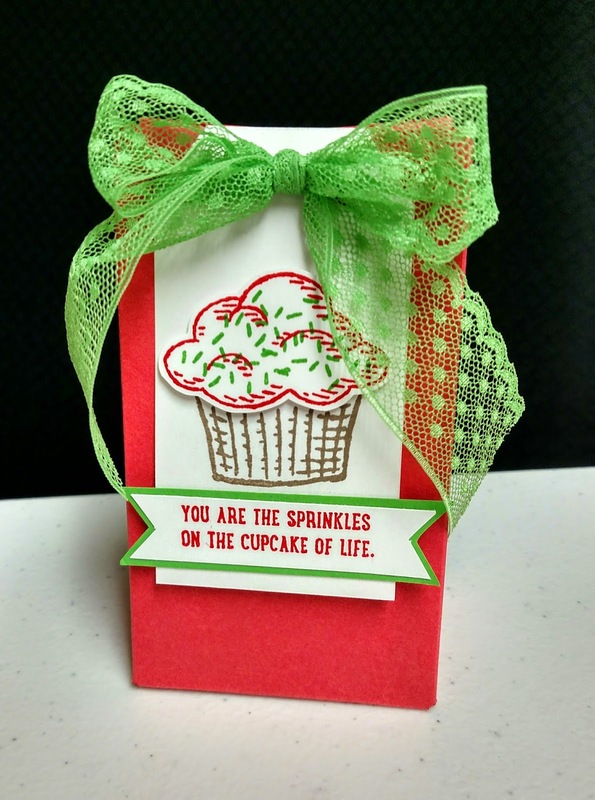 What's even better is that Stampin' Up! donates $3.00 from each sale of this set to the Ronald McDonald House Charities. 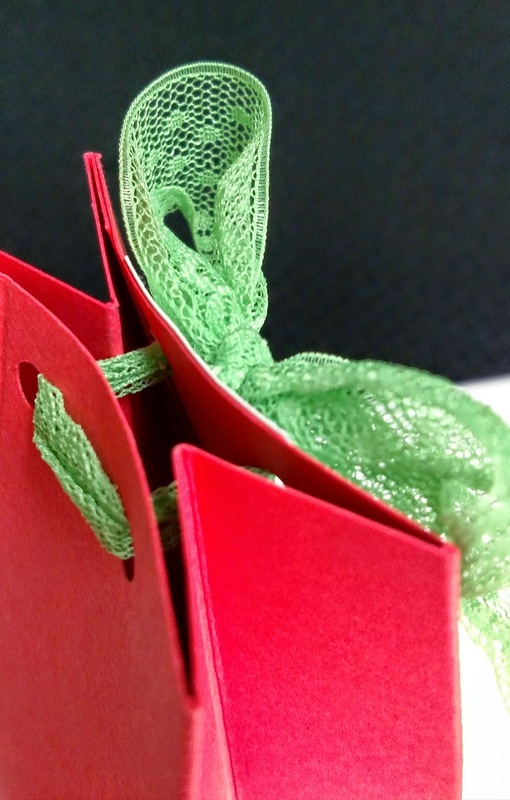 For this gift bag, I used three of the five new in colors - Watermelon Wonder, Cucumber Crush, and Tip Top Taupe. 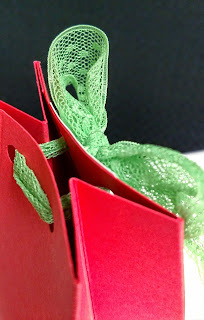 I also used the new Gift Bag Punch Board to make the bag and Cucumber Crush lace ribbon. The Gift Bag Punch Board can make three bag sizes (small, medium, and large), but you can make the bag as short or tall as you need. This one is "small" and I made it to stand 6" high. 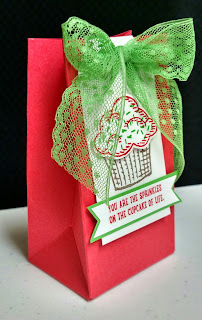 I love the way you can also punch perfect holes with the Gift Bag Punch Board so you can use ribbon for the closure. This will be an upcoming Club project. I've got more new product peeks for you coming soon, so stay tuned! Have a great week and go get creative!